In the past three days, gold has tracked a pretty steady line at $1,190, $1,200 and today – $1,220. The trend down is reversing. The shocking thing is that this turn-about took place right before the Options Expiry on Tuesday. This speaks louder to me than most of the charts, which by the way, are looking wonderful. Check out the “cup and handle” formation in the Warren Bevan article, below. This is one “technical” pattern that I do understand. They are not common, but when they form, the break-out to the upside is – in a word, POWERFUL. The media comes up with an “explanation,” every time gold moves up or down. They are rarely the real reason for the moves. The media is part of the Cartel and it is real and not imagined. The only thing up for debate is what the motives are and who is behind the moves. Profit or conspiracy, there is an “invisible hand” orchestrating from behind the scenes. Wouldn’t you really love to know “who” is pulling the strings. I think the number would be quite small and it would surprise you when you found out just how few control so much. Back to “the media” and their reasons – Take for example, the following headline on Kitco: Gold gets lift as Europe, Korea tensions persist. What hogwash! It’s not Korea, Iran, the oil spill or the euro. 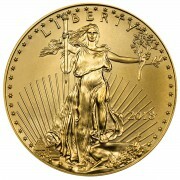 Gold is rising because of a growing army of new and motivated buyers in Asia, Europe and even some here in the US. There is tremendous interest in Europe, especially in Germany, as the very survival of the euro is being questioned in many quarters. 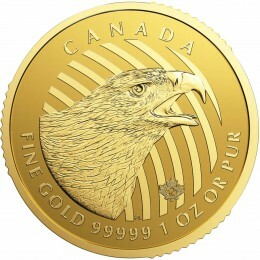 Our sources tell us that a lot of US and Canadian Mint gold and silver is leaving for Switzerland and Germany. Today I was informed that the US Mint is no longer taking orders for Silver Eagles. 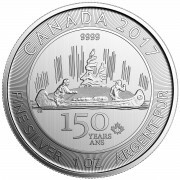 Earlier this week, I informed you that the Canadian Mint Maple Leafs were gobbled up by the Germans, that there were no Krugerrands available and that it wouldn’t be long before all of the pent up demand, that couldn’t source gold and silver elsewhere, would focus on the US Mint and we would face shortages. What exactly does that mean to YOU? Well, assuming that you wanted gold or silver and the mints were out, dealers would likely refuse to take orders and lock in a price until product became available again. And what if the price of gold and silver rose 10%, or 20%, or even more while you were waiting, locked out of the market because the mints had sold every ounce they made and were hopelessly overloaded with unfilled back orders. Do you think this is fiction and could never happen? It almost did in the Fall of 2008. It may be happening again. If gold powers through $1,250 and zeroes in on $1,300 and silver bulls through $21 or $22, the interest in the precious metals sector will go through the roof. They delay’s will happen. This was not a problem in the late ’70’s but then, there was no buying from China and up until the very peak, in Jan. 1980, the interest wasn’t that overwhelming here either. Now, we have millions more buyers and many of them are wealthy. We get a lot of orders for $1 million or more in gold. The change that I’ve seen, in the past two decades, is that the SIZE of the orders has increased many fold. That is bad news for future availability. Just as Richard Russell is telling you to get out of the stock market while you still have time, I am telling you to buy your gold and silver while you can still lock in a price and get immediate delivery. The rules of the game will change quickly. We can help you. We are a significant firm in this industry and have “front of the line” access to whatever is available. And for those of you who have never checked with us, our pricing is way-fair. Our reputation is untarnished and we have been endorsed by such industry notables as David Morgan, Richard Maybury, Robert Prechter, Bill Fleckenstein, Rick Rule and many others. As you have gathered, my Daily or monthly Newsletters are very educational. 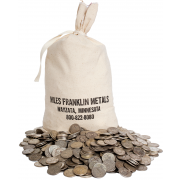 It has always been that way – Miles Franklin teaches you WHY you need gold and silver. Most other firms SELL you gold or silver. We think you should know enough about what is transpiring in the economy and with the US Dollar so you can make a rational judgment as to whether or not you need metals, or how much is appropriate. Our brokers are experienced enough to help you fashion a logical and well-reasoned portfolio to meet your needs. We will ship promptly, take care of ALL customer service related problems and we do not overcharge. Most of our clients (thousands) are long-time repeat buyers. Our number is 1 (800) 822-8080. Give us a chance to earn your business. You won’t be disappointed. Or – keep reading the Daily and follow my advice and buy from someone else who you are comfortable with. In any case, do follow my advice, do get out of stocks (not precious metals stocks), move to cash and gold and silver. Watch the dollar closely – I will for you, in this Daily, and when the Dollar starts it’s inevitable plunge, you can lighten up fast on your cash and be a pig about the physical metals.